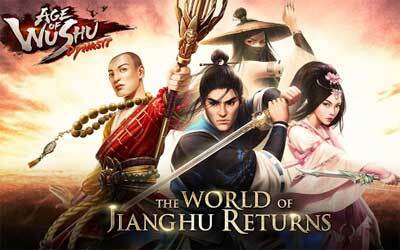 This is old version Age of Wushu Dynasty 4.0.2 apk for Android, you can install it if you want to downgrade or install old app. It is top Role Playing apps from Snail Games USA Inc. In those schools, you can develop your skill. Be wise when choosing the school as each school teaches you different type of skill. You can use certain skill to finish mission and get the reward from it. Use the reward to purchase certain items such as weapon, armor and various stuff that you can use in the battle. As an online role-playing game, it allows you to interact with other players. The PVP feature is obviously available in this game. In the city full of assassins and heroes, you cannot defeat your mighty enemy all by yourself. You can also team up with other player or co-op combat to defeat the same enemy. The most popular feature on this game is the arena battle. It allows you to be the champion of Jiangshu. Age of Wushu Dynasty for Android is not only offers the opportunity to master ancient martial art, but also to be the ultimate champion.